Virtual Currencies: Safe For Business And Consumers Or Just For Criminals? Are Cyber Criminals Competing At The Olympics? 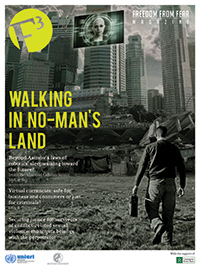 Beyond Asimov’s Laws Of Robotics: Sleepwalking Toward The Future? Frequently depicted as an almost pathological form of brutality, gangs have become popular bugbears and scapegoats across the world. This is perhaps most obvious in contemporary Central America, where gangs – known as pandillas and maras – are widely perceived as the most important security threat within a post-Cold War panorama of criminality often characterized by levels of violence that surpass those of the revolutionary conflicts that affected the region during the 1970s and 1980s. The corresponding policy response has been highly repressive, to the extent that it is no exaggeration to talk of Central American governments having declared a veritable “war on gangs” in recent years. Gangs are a global phenomenon, however, found in most societies around the world. On the one hand, this is due to a process of convergent evolution, whereby similar social contexts around the world give rise to similar social phenomena. On the other hand, processes of globalization have also enabled the spread of practices and culture from places separated by vast distances. There is for example a worldwide enthusiasm for US gangster rap music, and we are now seeing Latin American gangs migrating to Spain, the US and Canada, US gangs to Europe, Senegalese gangs to Italy and France, and Jamaican gangs to the United Kingdom. Not surprisingly, perhaps, gangs have become a growing concern during the past decade, but they have not always been viewed as inherently antagonistic. The first studies of gangs by scholars from the famous Chicago School of Sociology for example saw them as “interstitial” social organizations that emerged as alternative sources of order in areas — such as urban slums — where the state’s authority was deficient. Subsequent studies of gangs have highlighted how they are complex and multifarious social institutions that can take a variety of forms and be associated with a whole range of different practices and behavior patterns, from the cultural to the economic via the political. At the same time, most studies tend to be national in scope, or focus on a single group, and therefore offer little in the way of an international comparative perspective, making it difficult to know to what extent particular gang practices are context-specific, determined by global social processes, or simply more universal in nature. There moreover exists very little in the way of consensus regarding what a gang is. Even the very term “gang” is used in a highly variable manner, and there is little agreement concerning what a gang does. The most reproduced definition remains the one originally proposed by the sociologist Frederic Thrasher in his pioneering study of gang in 1920s Chicago: “A gang is an interstitial group, originally formed spontaneously, and then integrated through conflict. It is characterized by the following types of behavior: meeting face to face, milling, movement through space as a unit, conflict, and planning. The result of this collective behavior is the development of tradition, unreflective internal structure, esprit de corps, solidarity, morale, group awareness, and attachment to a local territory”. (1) Part of the continuing appeal of this definition is clearly that it is sufficiently broad to apply to a whole range of social forms. The polysemicity of the term “gang”, and the broad gamut of social forms with which it can be associated, make it essential to think about the phenomenon in relational terms, which means adopting a comparative perspective. This is something that we have aimed to do in a new volume, “Global Gangs: Street Violence across the World”, (2) which brings together 12 case studies of gangs from around the world that in their juxtaposition raise new questions and provide new perspectives on a range of factors that have been important to gang formation and evolution around the world. National-level studies, by their very nature, cannot consider the ways different types of socio-economic contexts impact variably upon gangs. Hence the importance of juxtaposing studies cross-nationally, moreover across radically different contexts, and even in terms of different structural processes. It is interesting for example to note both the similarities and differences between some of the consequences for gangs of economic re-structuring in the 1970s and 1980s in France on the one hand, and political transformation in post-Soviet Russia during the 1990s. In both cases, although gangs existed previously, they came to the fore in an unprecedented manner as a result of these upheavals, which moreover fundamentally transformed gang dynamics, in particular pushing gangs towards greater involvement in criminal economic activities such as drug dealing and racketeering, for example. The fact that analogous processes can occur in different eras for different reasons, is obviously critical for coherent global policy-making. Similarly, there are also uncanny commonalities between the different countries’ social or political repressive strategies affecting gangs’ trajectory, highlighting how a “one size fits all” approach is not necessarily appropriate. There are also revealing comparisons to be made between gangs and gang-like groups such as the Mungiki in Kenya or the Pemuda Pancasila in Indonesia. The fact that these groups are not trying to capture national power makes them analogous to gangs, yet many members do end up politicians on the national stage, something that points to potential trajectories for gang members. Conversely, while child vigilante squads in Indian slums may not appear on the surface to be gangs, they provide similar benefits to squad members as gangs, such as a sense of belonging, prestige, power, and security. Squads can also mimic many of the functions of gangs, including territorial control and defense of space and community, to the extent that it can be difficult to distinguish them clearly from gangs. Finally, there are analogous ambiguities surrounding the application of the gang label in Brazil, Mexico, and El Salvador, which often occurs in an instrumental manner for political gain. Such juxtapositions highlight that the evolutionary trajectory of gangs is not always unidirectional or toward a certain end state. 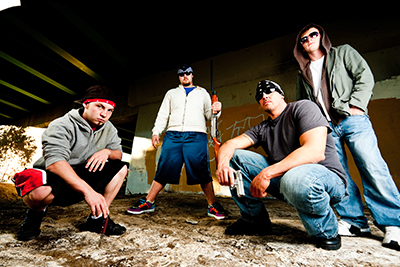 Although all gangs that last for any length of time involve some form of institutionalization that provides the basis for cross-generational longevity, some gangs institutionalize more than others – meaning they have a higher level of organization, more formalized structures, and are more embedded in the social, economic, and political activities of a community. But this can occur in different ways. Some gangs become super-gangs while others turn into outfits more akin to organized crime, and yet still others become political organizations. Moreover, not all transformations bring gangs to a higher level of organization. Rather, what the studies in our volume suggest is that gangs can follow a number of paths, reaching a number of end points; which path is chosen depends on a set of factors both internal (e.g. leadership, organization) and external (e.g. state response, politics, drugs), and what end state is reached may depend on an entirely different set of factors. Ultimately, gangs are socially embedded phenomena, regardless of their location, and environmental factors can affect their origins and their transformation in different ways. Comparison across time and space not only deepens our understanding of gangs, in all their forms, but also aids in suggesting better means through which to manage these groups that are often deeply rooted in the social, political, economic, and security activities of their communities. They may not be easily separated from their environments and the conditions that drive their development, regardless of whether they are labeled a gang, a national security threat, or a rational response to their situation. But the first step to engaging with them coherently is to try to draw on as wide a variety of experiences as possible from across the globe. Dennis Rodgers is Professor of Urban Social and Political Research at the University of Glasgow, UK. A social anthropologist by training, his research focuses on the interdisciplinary study of urban development issues, including in particular conflict, violence, governance and planning in Nicaragua, Argentina, and India. Jennifer M. Hazen is currently a senior research analyst with BAE Systems, working in support of U.S. Africa Command. She has worked with International Crisis Group, the UN Peacekeeping Mission in Sierra Leone, and the Small Arms Survey. Her research focuses on armed groups, conflict dynamics, and post-conflict reform. 1 F. Thrasher, The Gang: A Study of 1,313 Gangs in Chicago, Chicago: University of Chicago Press, 1927, p. 57. 2 J. Hazen and D. Rodgers (eds. ), Global Gangs: Street Violence across the World, Minneapolis: University of Minnesota Press, 2014.